'In particular we would like to see the expansion of EHRI's activities and the widening of its partnership in Eastern Europe. All this of course in order to include new material on the Holocaust and enable an integrated approach to the history of the Holocaust as a European phenomenon.' Robert-Jan Smits, Director-General of Research and Innovation, European Commission, at the conference. ‘Until the 1980s there was a paradoxical situation that the least Holocaust research was conducted on or in Eastern Europe, though it was the central site of Holocaust history.’ From the opening lecture ‘Holocaust Documentation in Eastern Europe’ by Dieter Pohl Department of History, Alpen-Adria-Universität Klagenfurt, Austria; EHRI Executive Team. 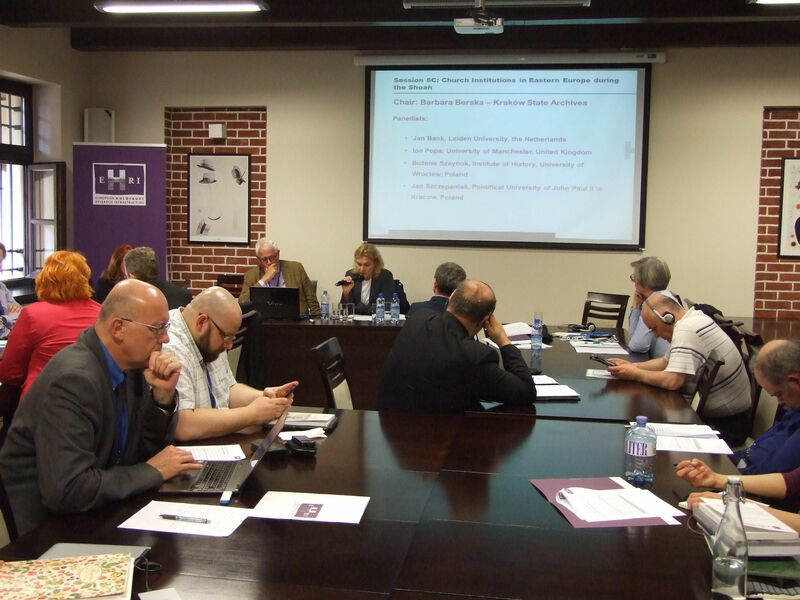 The international conference was designed to comprehensively map the unrecognized and non-accessible sources relating to the history of the Holocaust in Poland and the former Soviet Union, and to strengthen the relationships and familiarity between those collections and researchers. Close to 70 directors of archives and collections, museum directors, researchers and leaders of the EHRI project actively participated in the conference; an additional 40 researchers, graduate students and others from Poland and Germany attended the sessions. The opening evening event and the following first day of the conference were held in Krakow at three locations: Oskar Schindler's Enamel Factory Museum, the Galicia Jewish Museum and the Institute of Jewish Studies of the Jagiellonian University. The second day of the conference took place at the Auschwitz-Birkenau State Museum. The balanced mix of representatives of various disciplines provided exposure to a great deal of archival sources and research projects and generated in-depth dialogue during and between the sessions. 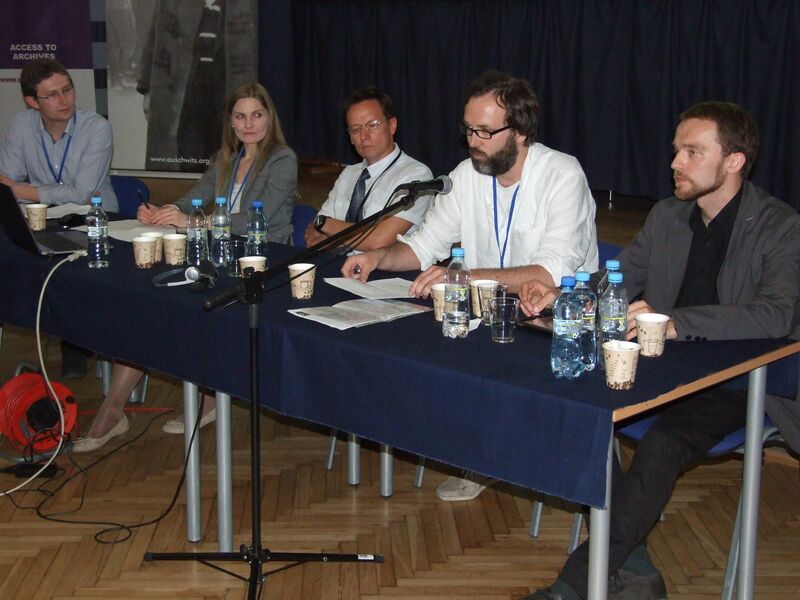 The conference touched on political and legal aspects impinging on access to Holocaust-related archival materials in Eastern Europe and ways to deal with the complexities. 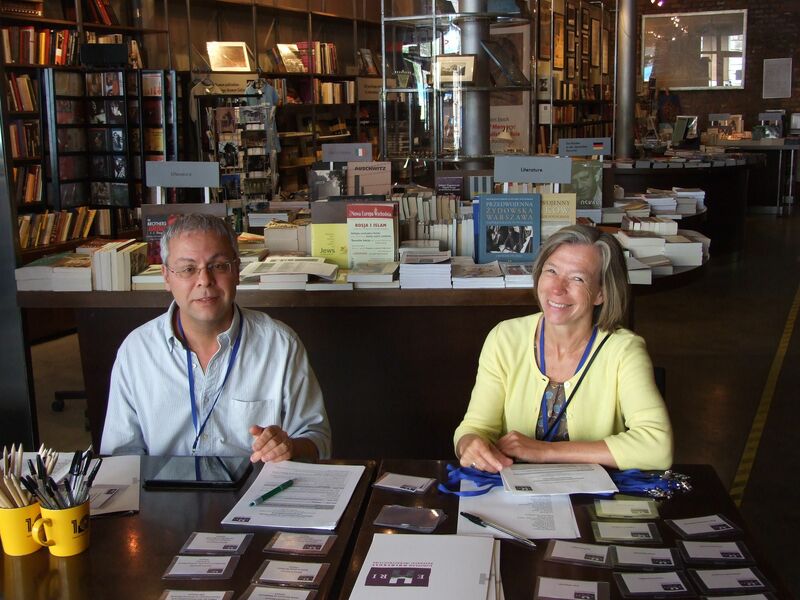 Participants were introduced to broad-based documentation collection projects alongside targeted projects; large State collections, and local documentation initiatives by scholars, museums and educators. 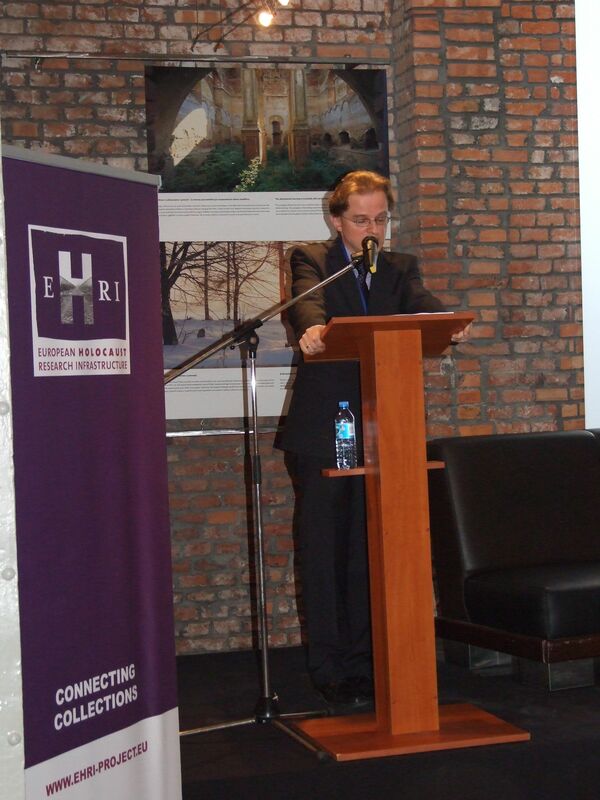 Specific issues concerning the research world today were also addressed, for example: the Church in Eastern Europe during the Holocaust and Church archives; the Holocaust in the Eastern European countryside; micro-histories; documentation exposed as a result of Jewish property and compensation activities; the Polish and Red armies. The opening lectures were given by Jan Grabowski, Department of History, University of Ottawa, Canada, and Dieter Pohl from the Department of History, Alpen-Adria-Universität Klagenfurt, Austria and member of the EHRI Executive Team. Prof. Grabowski talked about new archival sources and questions in the historical research of the Holocaust. The Holocaust research and Holocaust education, which are both intertwined and joined at the hip, enter a crucial period, marked - on the one hand - by the dwindling numbers of Holocaust survivors and, on the other hand - by the rising tide of “challenges of memory”. Grabwoski identified two trends in Holocaust research that have matured during the last decade. First he described the unprecedented phenomenon of oral evidence, linked to the various oral history projects. There is a “(...) visible trend away from institutional history, from the history of decision-making processes, and toward micro-history, toward bottom-up studies, toward the study of the experience of the Holocaust on the most basic, individual , level”. Second, consensus is building that the Shoah, although a German- designed, inspired and executed project, has also been - to an extent - an European undertaking. This “internationalization” of Holocaust historiography coincides with the growing importance of micro-history as a promising area of on-going and future study. 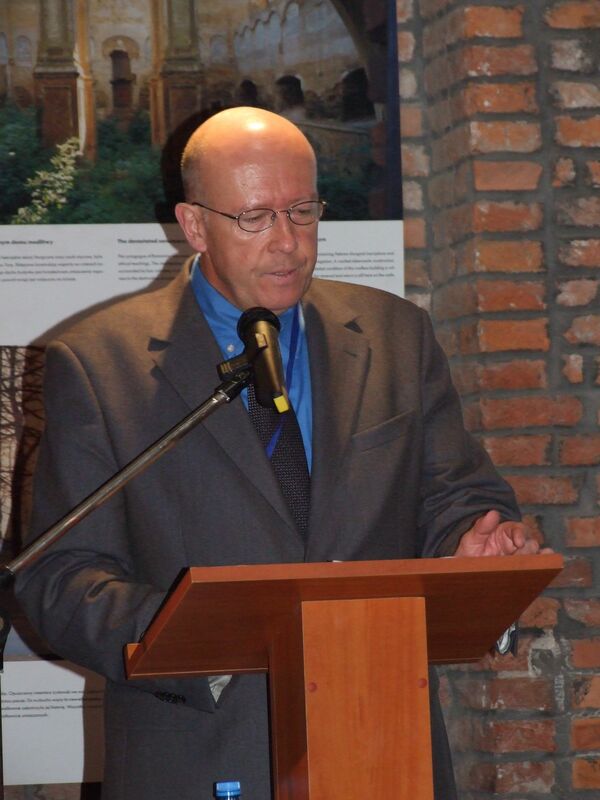 In describing the challenges for Holocaust research, Grabowski turned to his native country, Poland, and gave several examples of how the historical narrative of the Holocaust may be “corrected” to a history where the suffering of the Polish people is considered to be a least equal or even greater than that of the Jews. In his opening lecture, Dieter Pohl, mentioned four points that are specific about Holocaust Documentation in Eastern Europe. The first aspect is the particular nature of the Holocaust in Eastern Europe: The persecution and murder of east European Jewry was a much less bureaucratic process than in central and Western Europe. The second point is that the Holocaust in Eastern Europe included systematic mass murder in place, with very low rates of survival in most of the regions. Both the lower degree of bureaucracy and the small percentage of survivors are among the reasons why it remains such a difficult task to establish the victims’ names in these regions. A third aspect which affected Holocaust documentation in Eastern Europe is the communist rule in most parts of this region after 1945. After a short period of a limited Holocaust awareness on 1945/47, the specific nature of crimes against Jews was ignored or even denied. Related to this is the fourth point: the important role of the Secret Police for investigating Nazi war crimes in East European countries. However, with some exceptions, it is now possible to attain access to most Holocaust documentation in East European countries. But at the same time, it also becomes more difficult to get either a comprehensive overview, or to identify relevant sources for one topic, that are scattered in archives all over the world. According to Dieter Pohl, it is a major task of the European Holocaust Research Infrastructure, to integrate existing information on relevant collections, and to create new such information, by setting up a general database of Holocaust related archival collections, and gradually translating the collection descriptions into English language. The most important prospect for the future is the integration of Holocaust history. Nowadays it is almost impossible to write the history of the Holocaust in Eastern Europe without considering collections stored in other areas. The EHRI database will provide the necessary information in the future. But EHRI is also about bringing together research communities, enhancing the exchange of knowledge and approaches in Holocaust history. EHRI will facilitate comparative research, which is only just beginning. At the end of the event, the feeling was that a lot of work still needs to be done, but that the conference was an important first step towards the integration of Holocaust documentation in Eastern Europe.